I am delighted to announce that Gio from Sugar Art Studio is coming to teach exclusively at Suzanne Esper Cake School this May 2019. This two-day masterclass will teach you how to make two stunning life like sugar flowers in Giovanna’s very own incredible signature style. Giovanna produces the most exquisite flowers that will leave your clients questioning thier eyes if its real or not! This is a once in a life time event for the sugar flower fanatic. This trip will be Giovanna’s first UK teaching visit ever! 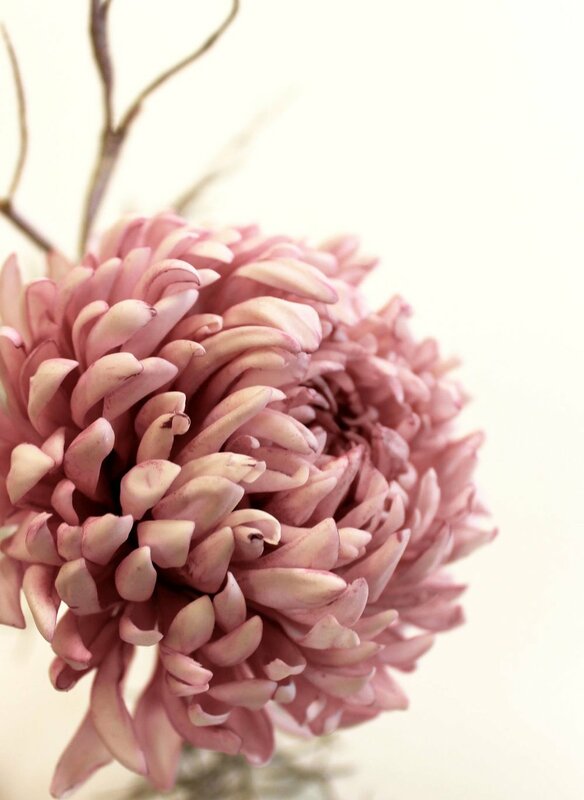 In this 2-day class, you will master how to make a stunning Magnolia and Chrysanthemum sugar flower. You will master how to shade flowers with dust colours to bring out the life like qualities. Ask the expert: Gio will be happy to answer all of your questions on sugar flowers and share her incredible wealth of knowledge. This class will take you skills to the next level in Luxury cake decorating. What an amazing opportunity to learn from this incredible lady. You will also have the opportunity to purchase your cutters and vieners handcrafted by Gio herself. There will be plenty of tea and coffee provided throughout the day as well as a light lunch. The class will be taught at my studio located just outside Lanark, Braehead ML11 8EU. Easy access from both Glasgow and Edinburgh airports and local train stations, West Calder and Lanark. Help with travel arrangemets can be given upon request. The class costs £625 per person. The class can be paid in full or if you would like to pay in instalments please select the instalment price of £150 above, and contact the school to discuss further instalments (info@suzanneespercakeschool.com). To book and pay in full, simply add to cart at the top of this page. You'll be directed to a secure payment page where you can pay via credit or debit card. If you would like to pay via BACS (bank transfer), please email info@suzanneespercakeschool.com to request bank details or call 07758 231 402. Please see terms and conditions prior to booking. No refunds will be issued if you cancel your booking nor will you be able to transfer your booking to an alternative date. You may sell your space to someone else.